Mayor Sims called the regular Council Meeting of July 14, 2014 to order at 7:30 P.M.
Amy Durga, City Clerk, was absent from the meeting. Mayor Sims read the roll call. Mayor Thomas Sims and Council Members Traci Fallow, John Ruymann, and Allan Palmerson answered roll call. A motion was made by Councilor Fallow with a second from Councilman Palmerson to excuse Angelo Cilluffo’s absence. Motion carried. Motion was made by Councilman Ruymann with a second by Councilor Fallow to accept the June 9, 2014 regular meeting minutes as written. Motion carried. Buck Meile commented that Grace Street has become a “comedy of errors”. He also spoke about the railroad and the community impact. Dale Brant: Spoke on behalf of the Al Brant Family and thanked the City Council and the Mayor for their prompt attention in getting the park sign completed. He stated his father would have been proud of it. He also thanked Mr. Meile for his kind words and support. Evelyn Hitzroth: Stated her credentials to become a council member. Also she compli-mented the Mayor for his actions regarding the library. Allen Brant also thanked the Council, the Mayor, as well as the person who made the park sign for the fine job done. ATTORNEY’S REPORT: Included in packets. There was a question regarding the public records training council members participated in and whether it has been documented. Mayor Sims answered that it has; both in Olympia and we have a copy here. Councilmember Fallow asked about taking the training via computer. Mayor Sims explained how. POLICE REPORT: Lt. Porter handed out his report. Average of 40 hours per week (2 weeks above and 2 weeks below). Still having some staff issues. He also addressed Mr. Meile’s concern regarding Grace Street saying some citations have been issued with investigations pending. Public Works Director, Dan Thompson’s Water, Streets, Cemetery, Parks & Misc report was unavailable He was unable to attend the meeting. Surplus items from City Shop: Mayor Sims reported Mr. Thompson would like to surplus some chairs and a dog kennel and perhaps a few other items. Councilman Ruymann asked if a list of surplus items could be submitted. Mayor Sims agreed to ask Dan for a list. City Repair Bids: Tabled until workshop and the August meeting. Library Proposal: The addition cannot be done in the area first proposed. The location of the septic and lack of adequate space are two of the reasons. The City building inspector, Don Terry, will only recommend the addition be made to the front of the building. Mayor Sims read a letter from Mr. Terry stating his position on the proposed addition. A new sketch and proposal will be submitted for Council review. Breastfeeding Month Proclamation: The Council agreed to allow Mayor Sims to make a proclamation proclaiming August Breastfeeding month. The candidates will be interviewed at the next workshop and a decision will be voted on at the August meeting. Library Update: Deborah Baker spoke about the exciting summer programs this year. 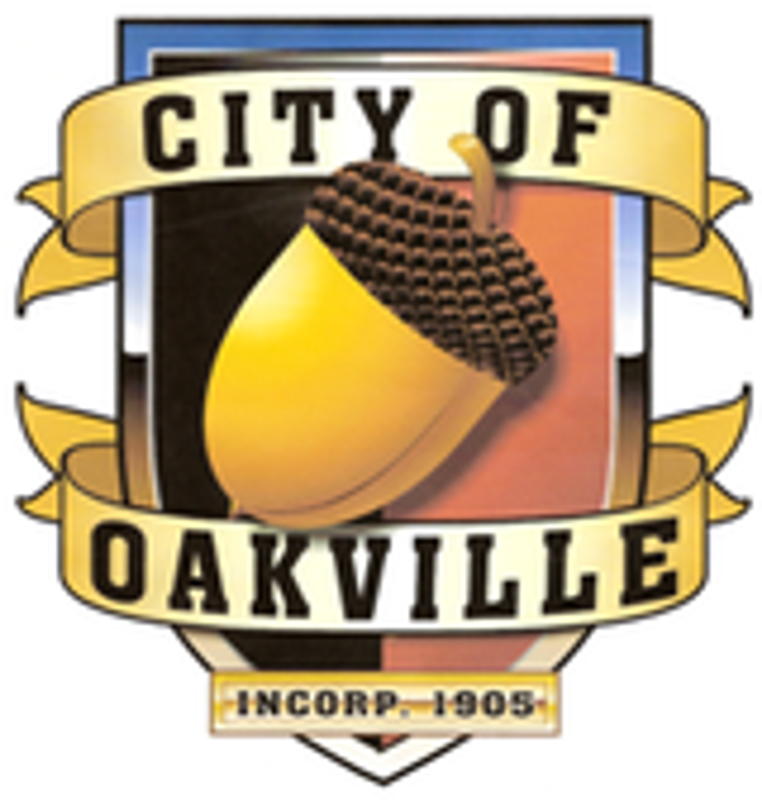 Amy Durga, Oakville’s Clerk/Treasurer submitted Checks #17730 thru #17741 dated 06-23-14 in the amount of $23,044.95. Checks #17742 thru #17767 dated 07-11-14 in the amount of $11,208.11. Motion was made by Councilor Fallow and seconded by Councilman Palmerson to accept the Clerk’s Report as presented for payment of the bills. Motion carried. Councilor Ruymann: Thought the 4th of July parade was a great success. Councilmember Fallow: Concurred with Councilman Ruymann and she thanked Mayor Sims for being such a “good sport” and volunteering to be “dunked” at the dunk tank. Councilman Palmerson: Wants the vacant council position filled. He questioned Don Florek’s hours; wanting to know how much time he has left this summer. Mayor Sims: Also stated the Independence Day celebration was a huge success. City Attorney Dan Glenn: Asked the Council to discuss their position on the Marijuana Moratorium and submit a proposal to the Hearing Examiner; therefore, it can be acted on before the moratorium deadline. At 8:14 P.M. Mayor Sims adjourned the meeting.